contemporary figurative painting. acrylic, cotton rag, gesso on canvas. 24 in x 30 in. 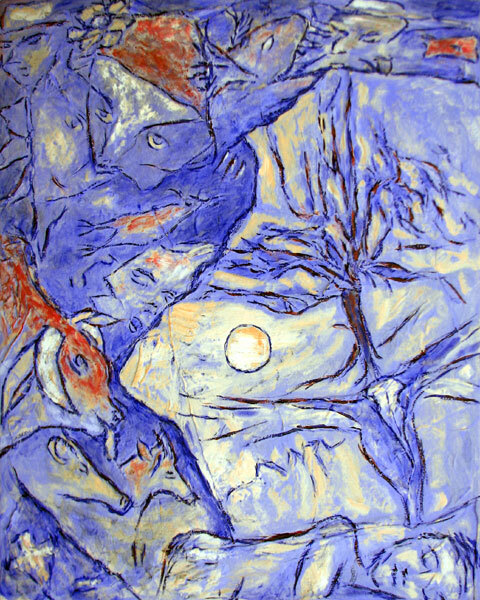 This painting is about sleeping out on the desert near some petroglyphs and the dreams had there.